Climate change manifests itself most powerfully within the water cycle – be it flooding, droughts or extreme weather events. In fact, the latest report of the World Economic Forum ranks water as the first global risk in terms of impact on our societies, regardless of region. The water cycle is closely linked to climatic variability, and adaptation and mitigation are complementary and that both are required. It is widely acknowledged that water is at the front lines of climate change. It is the primary channel through which the impacts of climate change will be felt across the key growth drivers of the global economy –agriculture, energy, industry, environment, and the urban sector. However, discussions at COP in the past have mainly focused on the issue of mitigation; while this is clearly a worldwide priority, equally important is the issue of adaptation and the understanding of the impacts of climate change on water resources and key water dependent sectors of the economy. After two weeks of intense negotiations a deal to attempt to limit the rise in global temperatures to less than 2C has been agreed on 12th December at the COP 21 United Nations Climate Change Summit in Paris. The pact is the first to commit all countries to cut carbon emissions. The agreement is partly legally binding and partly voluntary. Nearly 200 countries took part in the negotiations to strike the first climate deal to commit all countries to cut emissions, which would come into being in 2020. 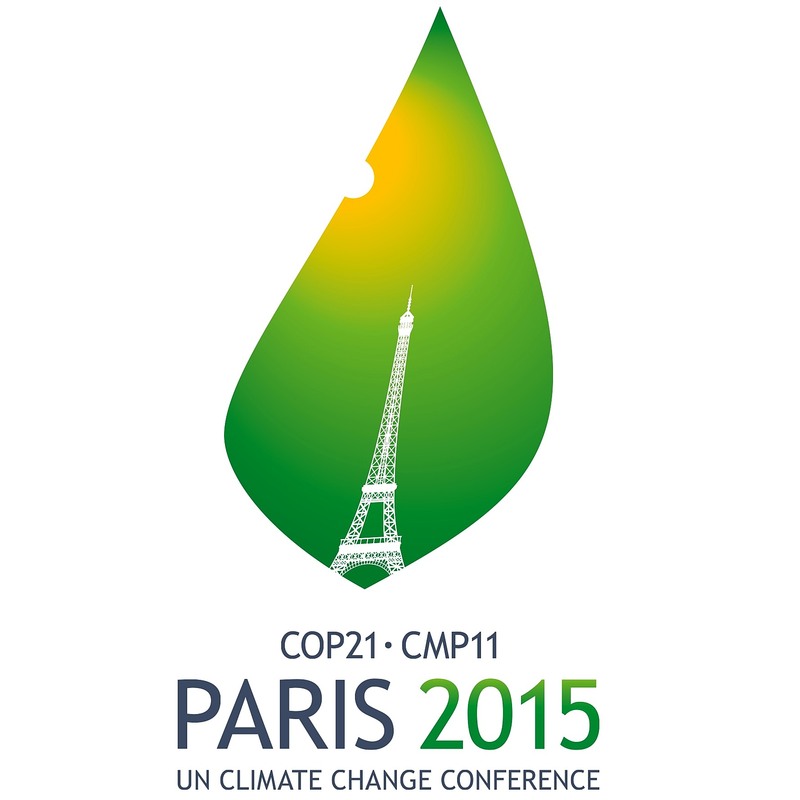 However, water is still absent within the official UNFCCC negotiation text of COP21. This is despite the fact that water has been identified as a central issue in approximately 80 % of all the Intended Nationally Determined Contributions (INDCs). Water was included as part of resilience in the official COP21 programme, but it was not identified as one of the 13 focuses of the Lima Paris Action Agenda, even if all of them, from forests to innovation, rely on sufficient and safe water to deliver on their commitments. To this end, a strong commitment was made to make efforts to include water as a more central priority in the climate agenda, notably at COP22 in Marrakesh. Though the Green Fund of more than a $100 billion for reducing the CO2 production is a fund that is very much focused on energy, there is a move that some of this funding could be provided to water, with the sense that most of the impacts of climate change are felt in water. All the anxieties of political leaders and the community is that you have more flooding, longer droughts; so all the impacts of climate change will be felt in the water sector. We need to provide the water sector with means to become more resilient to these impacts. The poor countries in Africa, Latin America, and Southeast Asia are suffering the impacts, but they are not able to cope with these vagaries of climate. When there is rainfall their GDP grows, when there is no rainfall there is a drought, they go bankrupt and they have famine. Where this money would go is increasing their resilience, having more storage reservoirs, having more access to ground water. But, at the same time having coherent management of this infrastructure that is built, in order to use the water rationally, in order to capacitate the people to operate, and having better adaptation to the current climate situation. So part of the funds would go to adaptation in the water sector. While global agreements to fight climate change are made at the U.N. level, the battle for the planet has already started at home. Since springs are the source of water and life on earth, Worldview Impact has been working with the Meghalaya Institute of Natural Resources (MINR) and its partners has started the largest spring mapping exercise in India beginning from our little mountain state Meghalaya - the land where the clouds come home. In the spirit of acting locally the Meghalaya government has embarked on a very ambitious plan for water and livelihoods, the Integrated Basin Development Livelihood Programme of which the springs conservation is a part of that. It is at the initial stages now, but it will be scale up to cover the entire state. MINR wants to survey the entire state and it will have a couple of thousand data points within the next few months. This is rarely done anywhere; it is probably one of the largest springs mapping exercise in the world and certainly in India. To end from the pain and darkness that covered Paris after the terrible terrorist attacks on 13th November we now see hope and light emerging after the success of the United Nations Climate Change Summit that came out with a global deal under the leadership of the COP President, Laurent Fabius on 12th December. More than anything though the deal signifies a new way for the world to achieve progress - without it costing the Earth. A long term perspective on the way we do sustainability is at the heart of this deal. If it delivers that, it truly will be world changing.